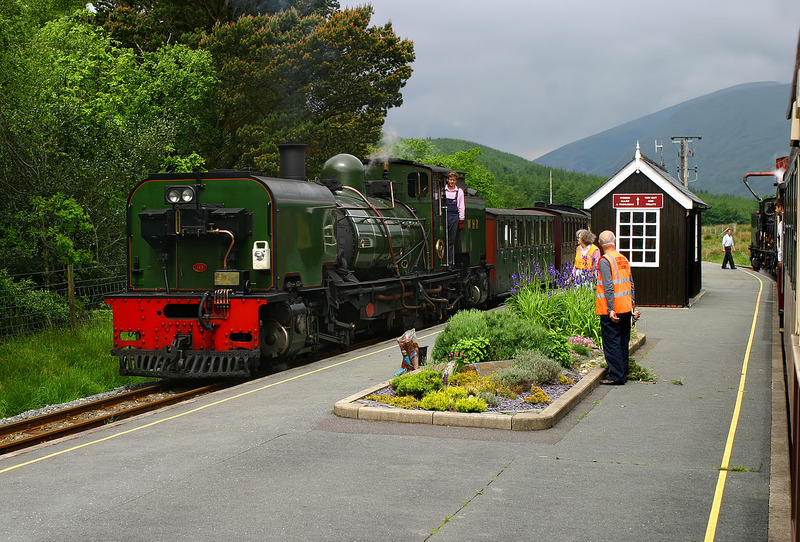 A pair of ex South African Railways Garratts crossing on the Welsh Highland Railway on 1 June 2012. Beyer Peacock 143 arrives at Rhyd Ddu with the 11:15 Caernarfon to Porthmadog service. The picture is taken from onboard the 11:00 Porthmadog to Caernarfon, headed by Cockerill built No. 87, which can just be seen taking water.